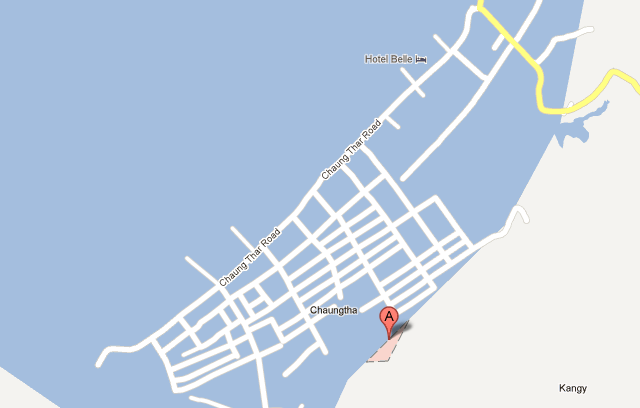 If you check out Chaungtha, Ayeyarwady, Burma on Google Maps, you may think this location is water world. The streets, somehow, are hovering over the water. Heck, there is even a hotel on the water with no land base or anything holding it up. Thanks for the report! I'll be sure to pass it along to the appropriate team.